When constructing a building as important as a data center, you want to be able to rely on a company that can offer you the best quality. Data centers are considered to be a mission critical facility which means it is a business that utilizes technology to function around the clock. Its equipment is critical to the business and could have a negative effect if any devices were to fail. With so much at stake, it is no wonder why it is so crucial to employ only the best builders to construct data centers. A construction company should have a reputation for giving the highest level of service, and they should have experience and expertise in the industry to assure that your project meets the highest of expectations. When seeking for a Phoenix Data Center Construction Company, there are many things you should consider. When locating a quality Phoenix data center construction company, you should select one that puts a great deal of emphasis on the training of their builders. Builders should be highly educated and skilled in the industry. They should understand the techniques and building methods and procedures that will provide the highest standard of work. Builders should be trained in safety and offer extreme care in the project. When safety is a priority to the company, you know that your facility will be equipped with the correct safety standards. The best designers and engineers should be employed to combine with the builders and create a team who can produce the greatest value in your project. You should have confidence to know that you are entrusting your stock in someone who has your best interest in mind. 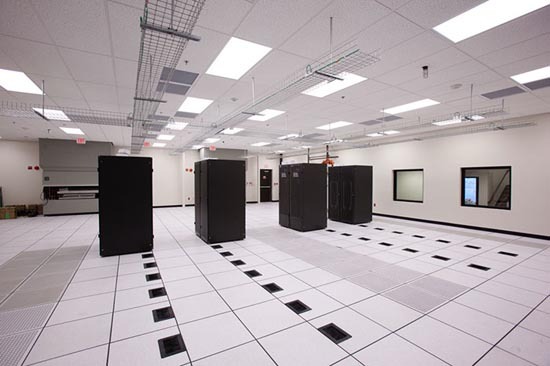 A Phoenix data center construction company should offer the most competitive prices. They should be knowledgeable of current market conditions so that they can offer the best value to their customers. Insurance and bonding should be a part of the plan to protect both the client and the company from fraud or any loss. The company should be aware of environmental risk and respect codes concerning factors such as asbestos, dust, debris, mold, or other issues that might affect the air quality. They should also be aware of and respect the codes concerning any hazardous materials that might affect the soil or ground water. A Phoenix data center construction company should continue to offer support even after the facility is constructed to guarantee the quality of their service. Any questions you have concerning the project should be addressed immediately. If any issues need to be corrected, they should be attended to in a timely manner. It is relieving to know that you can locate a Phoenix data center construction company that will meet your expectations. They can assure that the project will be done within a timely manner, and within the budget agreed upon. You can find satisfaction in the quality when a company cares so much for their clients. With an investment as large and significant as a data center, you can expect only the best and know that you can rely on someone to see your facility created as you envision it and make it become a reality. This entry was posted in computer room construction, Computer Room Design, Data Center Construction, Data Center Design, Titan Power and tagged Arizona, Arizona Customers, computer room construction, Data Center Construction, data center construction company, Titan Power. Bookmark the permalink.